Audiologists are the ONLY professionals who are university trained and licensed to identify, evaluate, diagnose, and treat audiologic disorders of hearing. 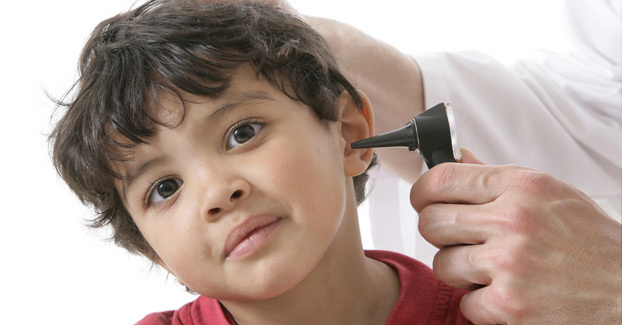 Audiologists may practice in Private Audiology Offices, Hospitals, Medical Practices, Universities, and Public Schools. Please note that many hearing aid dispensing centers are not operated by licensed audiologists. The requirements for hearing aid salespeople are far less stringent than for Audiologists. Comprehensive Audiological Evaluations including tests of hearing sensitivity, speech understanding, middle ear function, and inner ear and nerve function. Audiologists, typically, hold a clinical doctoral (Au.D.) degree from an accredited university with special training in the prevention, identification, assessment, and rehabilitation of persons with hearing impairments. In Pennsylvania, audiologists are licensed to practice audiology by the Pennsylvania Board of Examiners. Audiologists are required to obtain continuing education on a yearly basis. By virtue of their graduate education, professional certification, and licensure, audiologists are the most qualified professionals to perform hearing tests, dispense hearing aids and assistive listening devices, provide rehabilitation services and refer patients for medical treatment. The only precise way to determine if you have a hearing loss is to have your hearing evaluated. This testing should always be conducted in a specially designed room to ensure accuracy of results. There are a series of simple questions you can ask yourself to confirm that you are having hearing difficulties: Do you often ask people to repeat what they have said? Do you need to turn the television or radio louder than others around you? Do you have trouble hearing on the telephone? Do people seem to mumble? Do you have difficulty listening to conversation when in a restaurant or noisy listening environment? If you answer yes to one or more of these questions, it may be time to have your hearing tested. Will a Hearing Aid Make me lose more hearing or make the ringing in my ears louder? No. Hearing aids simply bring the level of loudness within a comfortable range for you. In fact, research has found that hearing aids may help preserve the ability to understand speech because they allow the sensory cells in the inner ear to stay active. Additionally, the ringing sounds that you may hear are often caused by damage to the inner ear system and hearing aids will often reduce their loudness. Does a Hearing Aid Help in Background Noise? There are two ways of reducing background noise with current technology. One way is through the use of directional/dual microphone technology. These instruments utilize sophisticated methods to “turn off or down” microphones in order to enhance speech in background noise. Most modern hearing aids also offer the ability for the hearing aid to automatically select the best program for each listening environment. The second way to improve communication in the presence of background noise is through the use of 100% digital hearing aids. The FDA has developed very stringent guidelines regarding hearing aids that are advertised as reducing background noise. In order for a hearing aid to be advertised as reducing background noise it has to have been clinically tested and receive FDA approval. The newest hearing aid technology contains sound processing which measures and reduces “noise–like” sound with a series of mathematical computations. If you, previously, tried hearing aids and could not adapt due to the overwhelming amplification of background noise, you will find that the newest technology hearing aids are a major improvement. How Often Do Hearing Aids Need To Be Repaired? Hearing aids are fragile instruments that need daily maintenance. The majority of hearing aid problems are caused by ear wax and moisture. Hearing aids can often be repaired in the audiologist’s office at minimal expense. In order to insure proper operation of your hearing instruments, it may be necessary to return to your audiologists’ office on a regular basis for routine maintenance. All hearing aids are sold with a warranty that covers loss and damage to the instruments. Do I Need To Wear Two Hearing Aids? If you have a hearing loss in both ears the answer is yes. When sound enters both ears, it becomes louder than if you only listened out of one ear. The ability to locate where sounds are coming from is improved when both ears have amplification. It is also more natural to amplify both ears. If you need corrective lenses for your eyes, would you consider a monocle? Probably not! Your brain adjusts better when is receives information equally from both sides, especially in background noise. Increasingly, insurance plans do cover the cost of hearing instruments, while others may cover only a partial cost or reimburse the patient for a set amount. You should always check with your particular insurance plan to see if you have coverage for hearing aids. Medicare does not cover the cost of hearing aids. Many of the newer Medicare Advantage plans are offering discounts on hearing aids. Please learn about these plans, comprehensively, before upgrading and paying a higher monthly fee. The discount plans typically require that you obtain your hearing aids from specific providers and the discounted price is typically off the MSRP, which is a grossly inflated price. We have found that the discount price offered by many of these plans is higher than our regular prices.